As renewable energy’s share of the total energy generated increases, so do the requirements to balance the fluctuations in power generation and energy consumption. One problem with the different forms of renewable energy is that they are not constantly available. 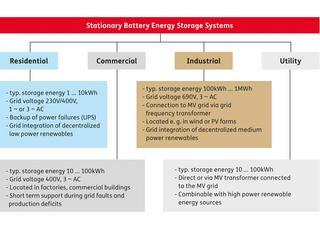 In order to integrate them into the regular energy market, efficient energy storage systems are imperative. 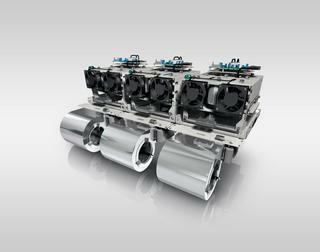 With these storage systems, the stability of the energy supply can be maintained. The storage technologies presently in the market or in the course of development vary just as much as the storage duration (from seconds to months) and the amount of power considered (from kilowatts to gigawatts). 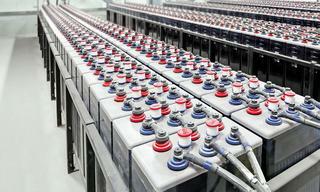 Battery Energy Storage Systems (BESS) with lead, NaS, redox flow and Li-ion accumulators are the most widespread. These systems are capable of buffering power levels of several kilowatts up to several megawatts for a period of several hours. Their areas of application are therefore broad and range from the household through to commercial use, industrial use and utilization by energy suppliers. Powerful battery storage units can help to stabilize the power network by providing reactive power, reactive power compensation and short-circuit power (fault ride-through). Through the input and removal of active power from storage they also contribute to maintaining the voltage. Such storage units are suitable for integration at distribution system level and enable, for example, integrated solutions for parallel coupling of the networks of wind power systems and solar systems. 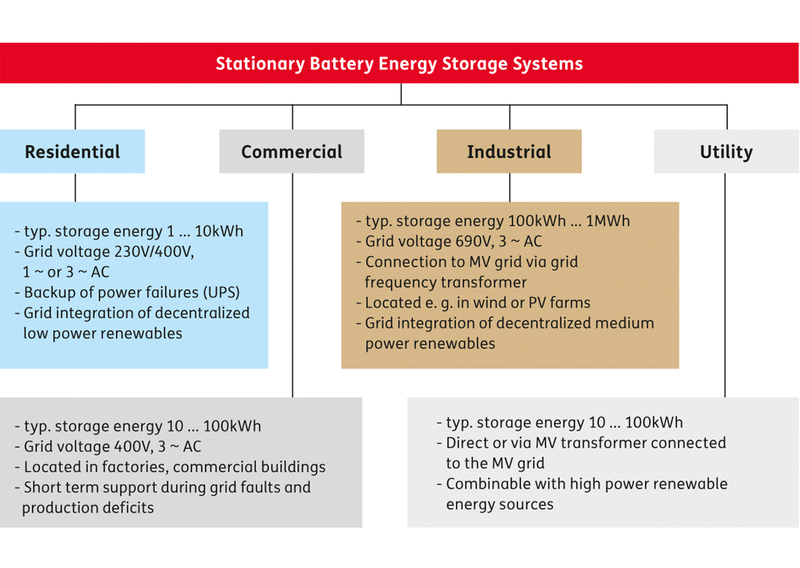 In innovative systems for the support of microgrids, various battery technologies are combined with multilayer capacitors to be able to supply particularly high amounts of energy in the short-term range. 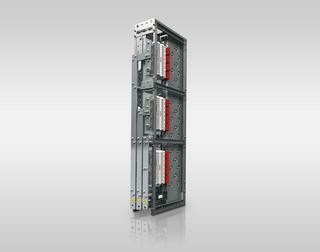 Increasing requirements are being made for the efficiency, robustness and reliability of the storage systems. Yet, the procurement and operating costs still have to be low. The requirements of the power semiconductors and of the mounting and connection technology of the power modules are then correspondingly high. With the development of Battery Energy Storage Systems with an ever-greater power capacity, the requirements made of the maximum permissible currents and voltages of diode and power transistor modules increase. Low conduction and switching losses are associated with two advantages: the system efficiency is increased and waste heat can be dissipated more easily. 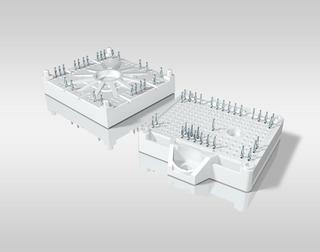 Infrastructure costs for the storage stations can also be reduced if the mounting and connection technology of the power semiconductors meet high requirements for climatic operating conditions. SEMIKRON has many years of experience in power modules for a wide variety of different energy storage systems ranging from a few kW to several MW. With modern power semiconductors, power can be used in a network-friendly way and the infeed current can be controlled in line with demand. High switching frequencies are possible with the latest semiconductor chips made of silicon or silicon carbide and special module topologies enable the use of space-saving passive components. Power electronics is a key technology that enables the storage of electrical energy with a high degree of efficiency. 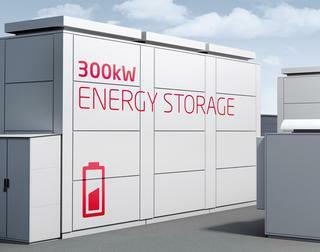 Energy storage systems have to operate reliably and safely for a period of 20 years. Power semiconductor modules must therefore operate with low losses and provide the greatest possible reliability over a wide temperature range all at the lowest possible cost. 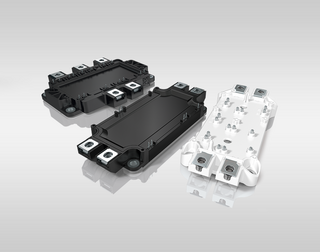 In its power modules, SEMIKRON uses mounting and connection technologies with solder, sinter, pressure and spring contacts that ideally meet the requirements of reliability and robustness for use in BESS. 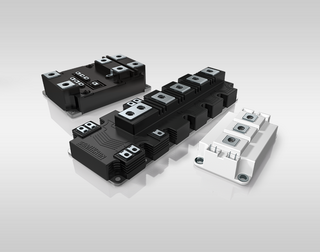 Conventional IGBT modules, SKiiP-IPMs, power modules with diodes and thyristors, discrete semiconductors, as well as tested and ready-to-use power assemblies are available. Pulse frequencies as high as possible are sought to reduce the dimensions, weight, and cost of system filters and transformers, as well as to minimize the phase effects on the system. 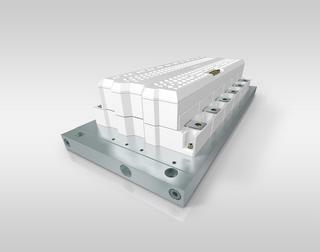 For these applications, SEMIKRON offers 3-level IGBT-modules in NPC and TNPC topology in the product groups SEMiX, SKiM and SEMITRANS for high power. 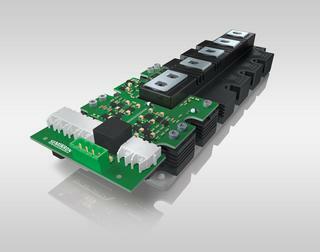 With these modules, high pulse frequencies with comparatively low switching losses can be achieved. In order to be able to make assemblies with high switching frequencies a reality, SEMIKRON manufactures power modules with fast switching chips in silicon and silicon carbide technology.